Brigham and Women’s Hospital is dedicated to offering state-of-the-art treatment for patients who are suffering from malignant pleural and peritoneal mesothelioma. For many years Brigham and Women’s Hospital has been home to some of the brightest minds in pleural mesothelioma treatment. 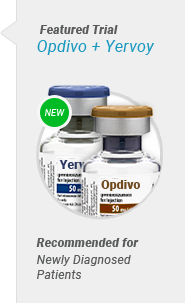 Now, they have expanded their program to include peritoneal mesothelioma treatment. They have made significant advances in mesothelioma treatment and brought hope to the mesothelioma community. Why Brigham and Women’s Hospital? The International Mesothelioma Program (IMP) at BWH has a strong clinical focus, dedicated to developing the most effective, innovative treatment strategies. Several clinical trials are studying the most effective ways to conduct curative surgeries in conjunction with different chemotherapy drugs. The IMP’s research arm is made up of basic, translational, and clinical research scientists, and aims to understand how mesothelioma develops and therefore how to beat it. The IMP is conducting genomic research to help diagnose mesothelioma earlier by determining if there is a genetic predisposition to mesothelioma. The dedicated support team at BWH provides counseling and emotional and spiritual support to improve the quality of life for their patients, as well as practical help with housing and financial needs. 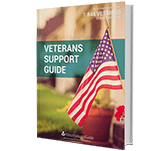 The Thornton and Naumes Housing Assistance Program is specifically for families of a mesothelioma patient receiving treatment. US News and World Report has ranked BWH among the nation’s top 10 hospitals and in the top 10 for specific specialty areas, including cancer, cardiology and heart surgery, diabetes and endocrinology, gynecology, nephrology, and rheumatology. Brigham and Women’s Hospital is home to the International Mesothelioma Program, one of the most respected and successful mesothelioma treatment centers in the country. Why Choose Brigham and Women’s Hospital? Brigham and Women's Hospital is home to the International Mesothelioma Program (IMP), which has greatly advanced treatment options through collaborative research. The extrapleural pneumonectomy was developed and honed at this treatment center. Boston’s Brigham and Women’s Hospital (BWH) is an international leader in many areas of medicine, launching a comprehensive mesothelioma program to address the rise of mesothelioma cases worldwide. 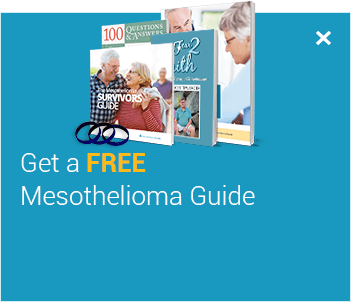 The International Mesothelioma Program (IMP) includes a clinical program, a research program, and a support program. 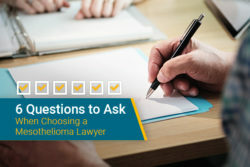 The IMP brings together the most knowledgeable doctors to look for new ways to fight mesothelioma. For many years, the program only treated pleural mesothelioma patients. Dr. Marcelo DaSilva lead the initiative to add a new peritoneal program at the hospital. Many of his pleural patients were eventually developing peritoneal mesothelioma. Dr. DaSilva was frustrated with having to send them away to other facilities for treatment. 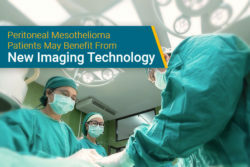 “They kind of feel like we’re cutting and running…and that didn’t sit well with our group,” Dr. DaSilva told Mesothelioma Guide in an interview. So he came up with a plan to add peritoneal treatment to the International Mesothelioma Program. Brigham and Women’s Hospital is a major teaching hospital of Harvard Medical School, continuously working to improve its knowledge and extend its reach into the medical community. BWH has a tumor bank, established in 1992, that contains frozen samples of more than 600 malignant pleural mesothelioma cases, supplying specimens for genetic and genomic studies. The tumor bank provides researchers with hands-on information to help create profiles of abnormalities and pioneer new diagnostic methods. BWH is a definitive leader in mesothelioma treatment and their research has helped many patients become survivors. In February 1996, survivor Sissy Hoffman had radical treatment to remove her mesothelioma tumors at BWH. Sissy survived more than 15 years thanks to these treatments. Furthering the level of support offered by BWH are services like the Patient Matching Program. 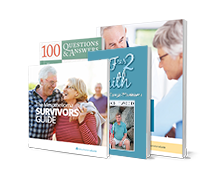 This program matches patients with mesothelioma survivors who have received the same type of treatment with whom patients can relate and learn from. The extrapleural pneumonectomy (EPP), a radical, life-saving surgical option for pleural mesothelioma patients, is considered the gold-standard of treatment. This surgical procedure was developed and perfected by renowned specialist Dr. David Sugarbaker during his time at Brigham and Women’s. The mesothelioma surgeons at BWH are experts in this treatment method, which has improved the prognosis of countless patients over the decades. Founded in 1947, Dana-Farber has been a pioneer of cancer-related research and treatment for decades. Dana-Farber is an internationally recognized cancer center with close involvement in the International Mesothelioma Program. The Institute employs nearly 4,000 people and supports more than 300,000 patient visits per year while remaining involved in approximately 700 clinical trials. By partnering with Brigham and Women’s Cancer Center and the International Mesothelioma Program, Dana-Farber is able to collaborate with the brightest minds and leading experts in cancer care. While Brigham and Women’s is a leader in the field of mesothelioma surgery, Dana-Farber brings the added benefit of its medical oncology team to the table. Is Brigham and Women's Right for You? Many patients have experienced promising results here, including remission of their disease. Choosing the right cancer center, however, can be stressful. 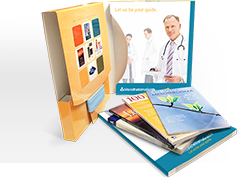 The team at Mesothelioma Guide is here to help you find the perfect treatment center. 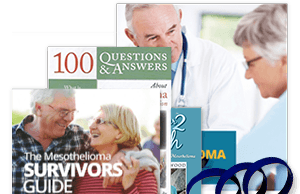 Contact one of our patient advocates to get in touch with Brigham and Women’s Hospital at 1-888-385-2024 or get a complete list of cancer centers in our free Mesothelioma Guide.